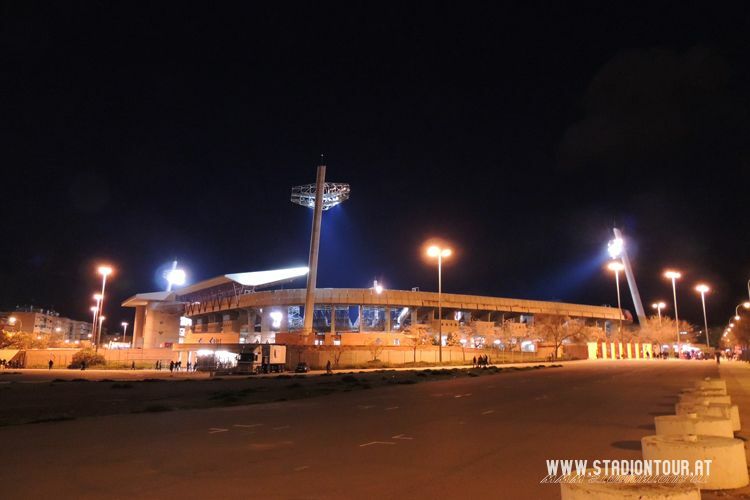 New stadium in Grenada was built in 1995 by municipal authorities, providing salvation to the club, then in critical condition. 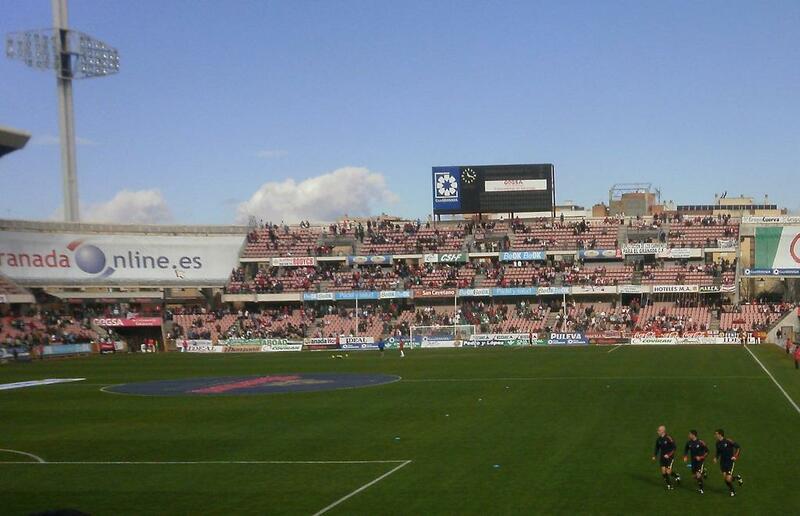 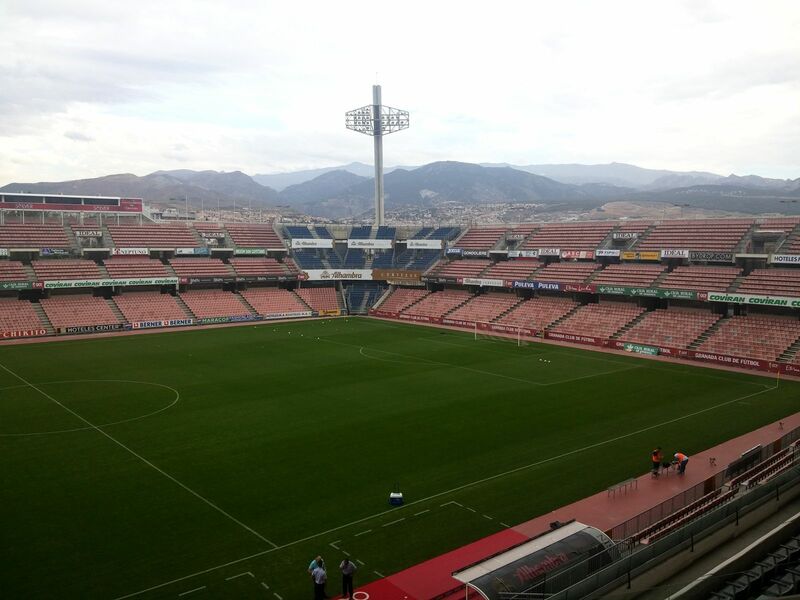 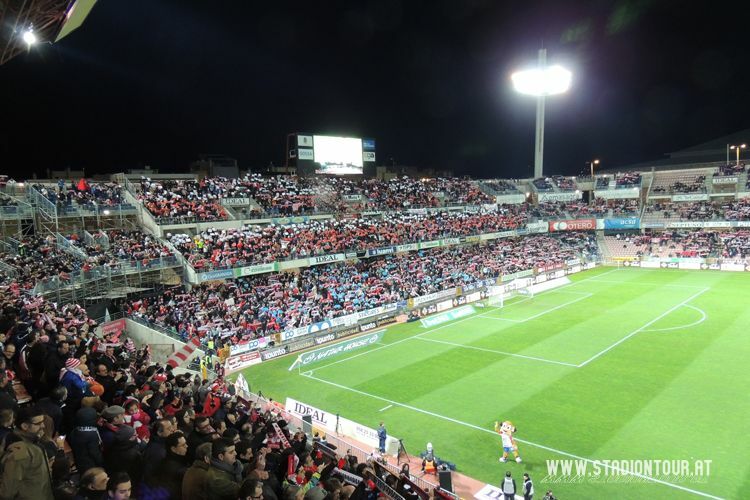 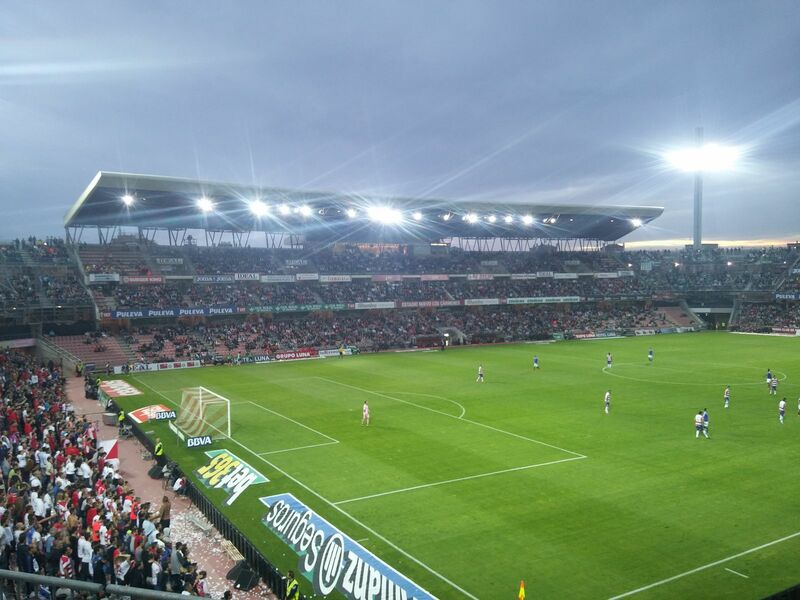 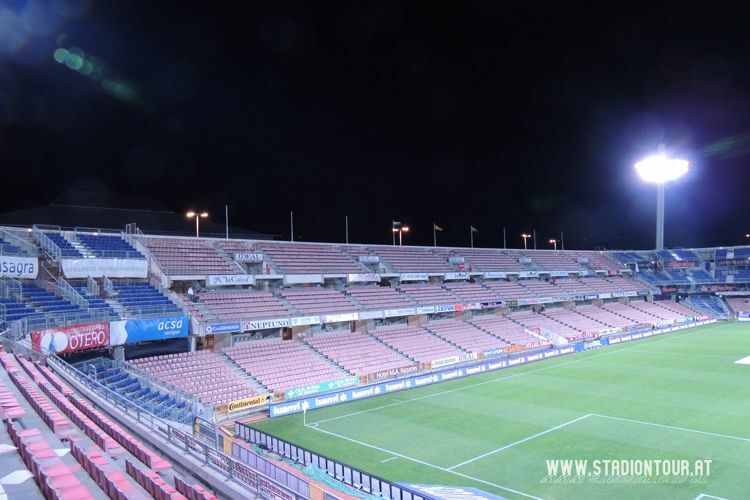 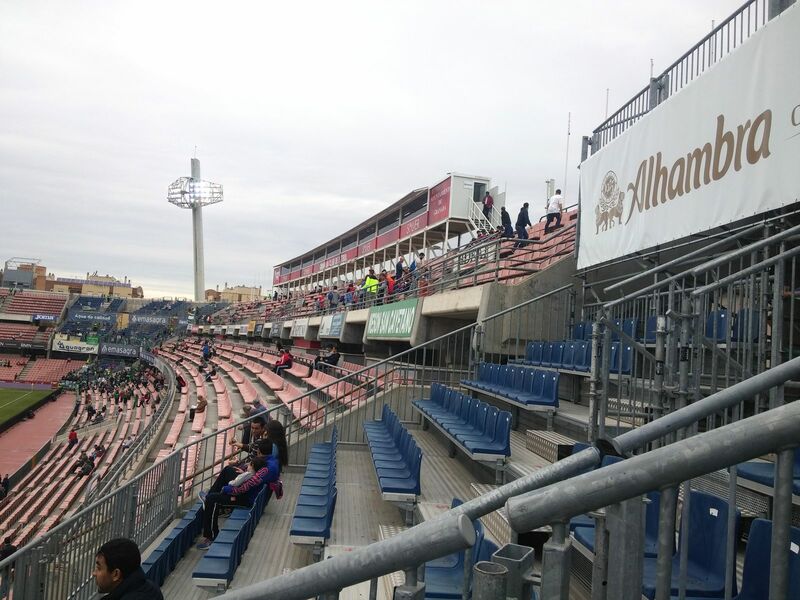 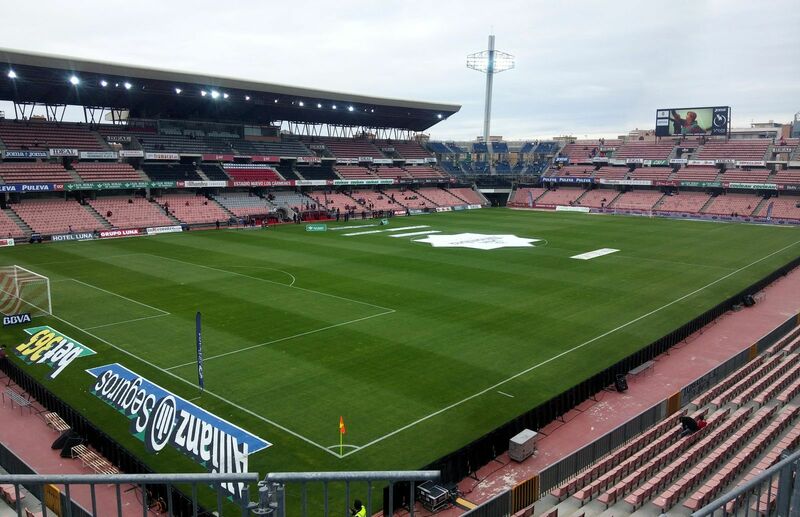 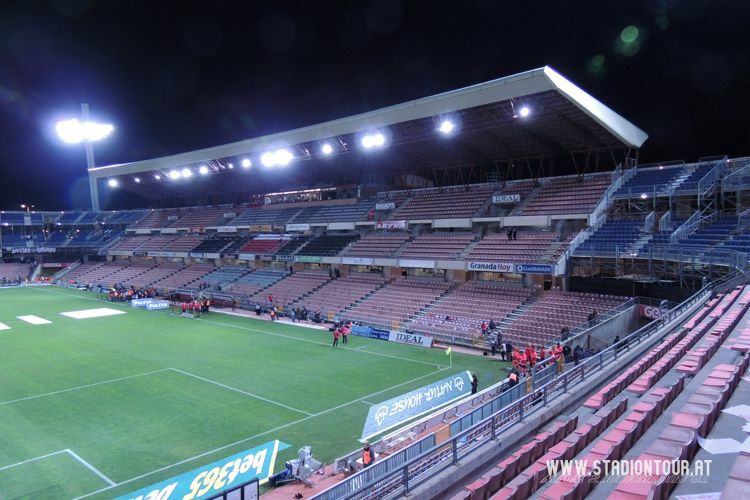 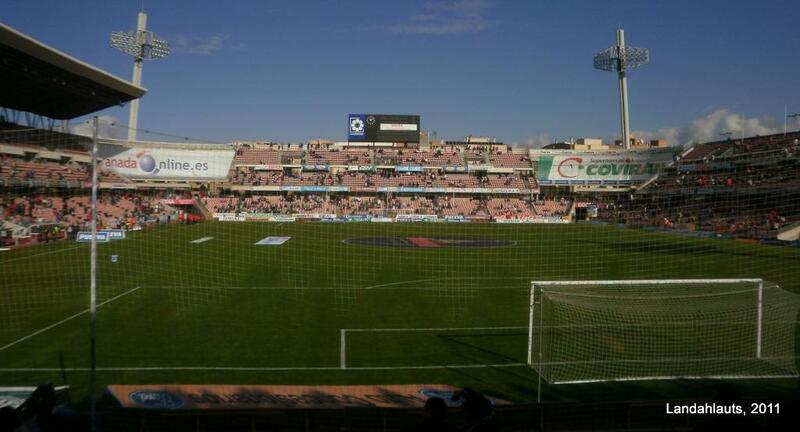 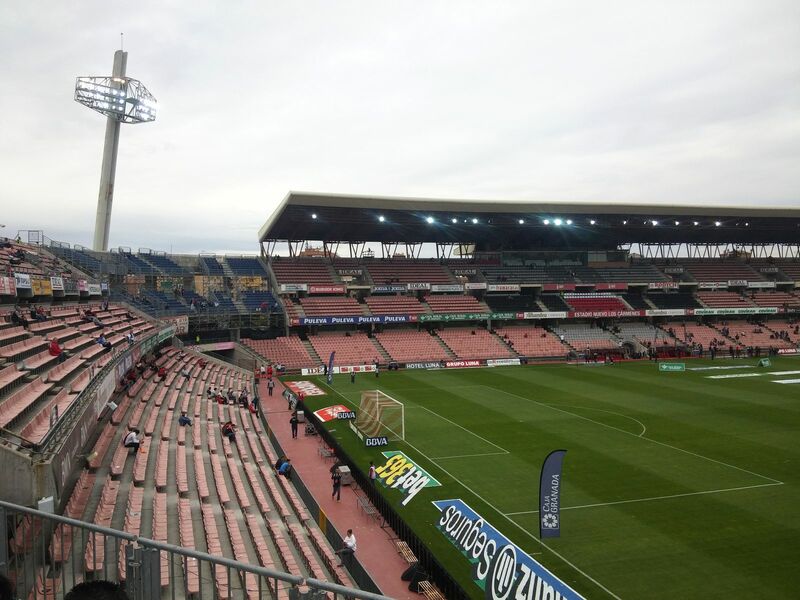 Previous venue, belonging to Granada CF, was then sold to ease the financial problems of the club. 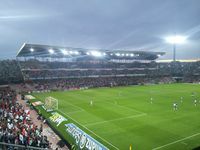 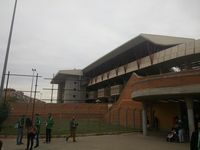 Despite being located in a different spot, the stadium inherited its predecessor’s name Los Cármenes, derived from local architecture – housing with gardens. 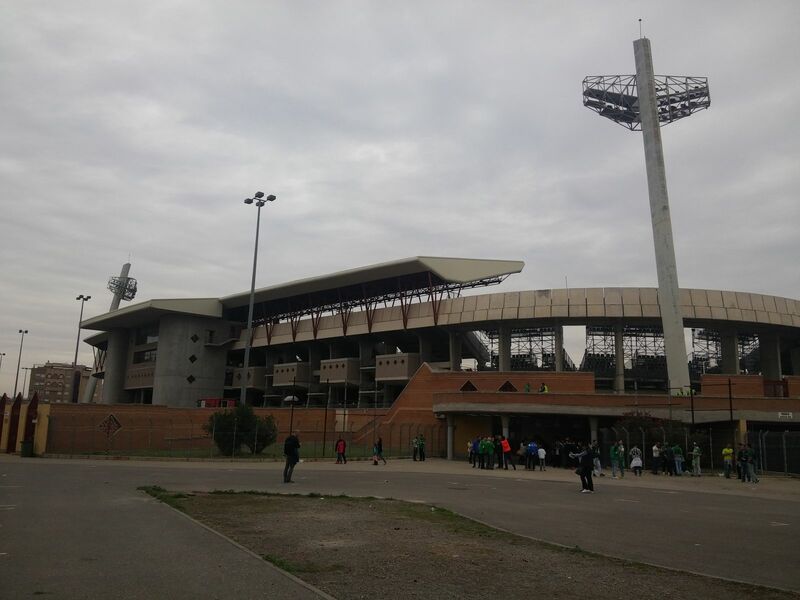 This stadium may not have a garden, but has been unique from the start, just like Granada is known for its character (famous for winning against top clubs). 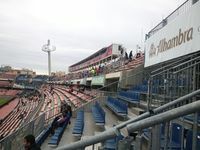 Despite having just over 16,000 seats, it always had stands divided into three tiers (with 12, 6 and 9 rows, respectively), making it look a lot bigger. 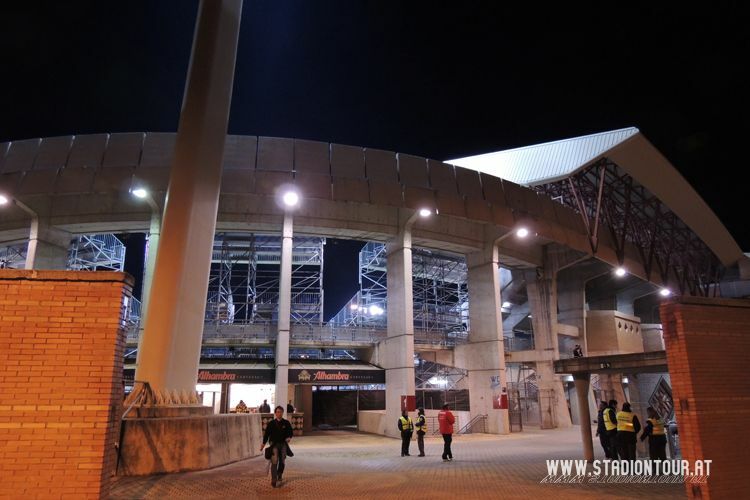 Initially corner stands weren’t filled, but equipped with promenades, enabling for fast expansion. 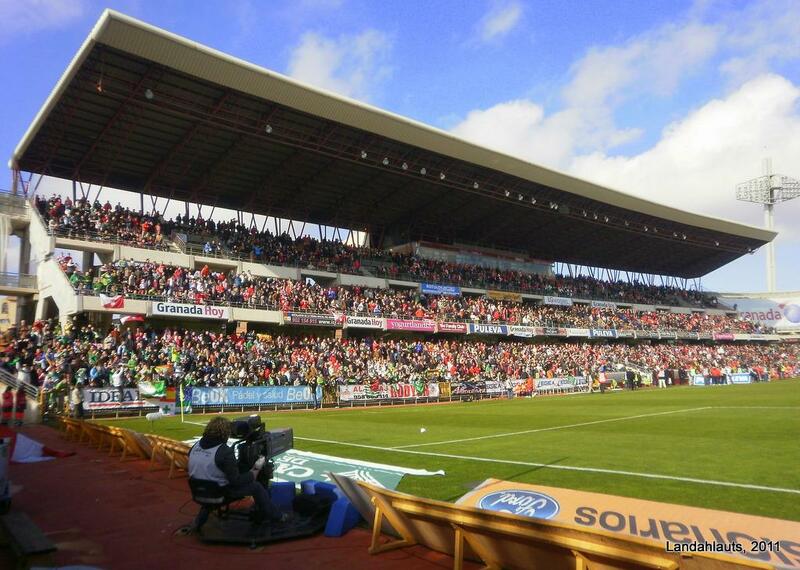 This was done with temporary seating in 2011, as Grenada was climbing back up to Spanish top flight. 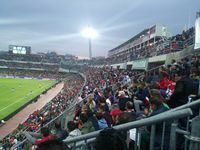 Capacity grew to 22,524 people. 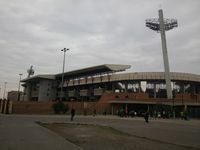 From the start various events took place here and Grenada weren’t the only hosts. 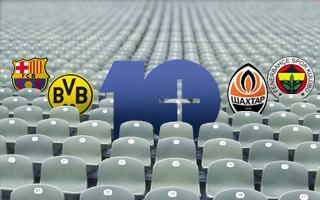 On occasions other teams played here, too. 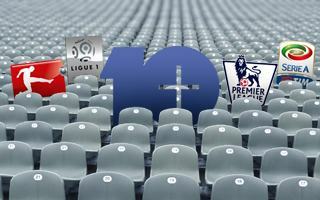 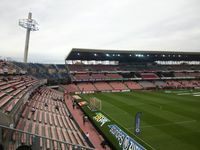 Real Madrid was the one to open the venue, while Spanish youth national team scored the first official goal. 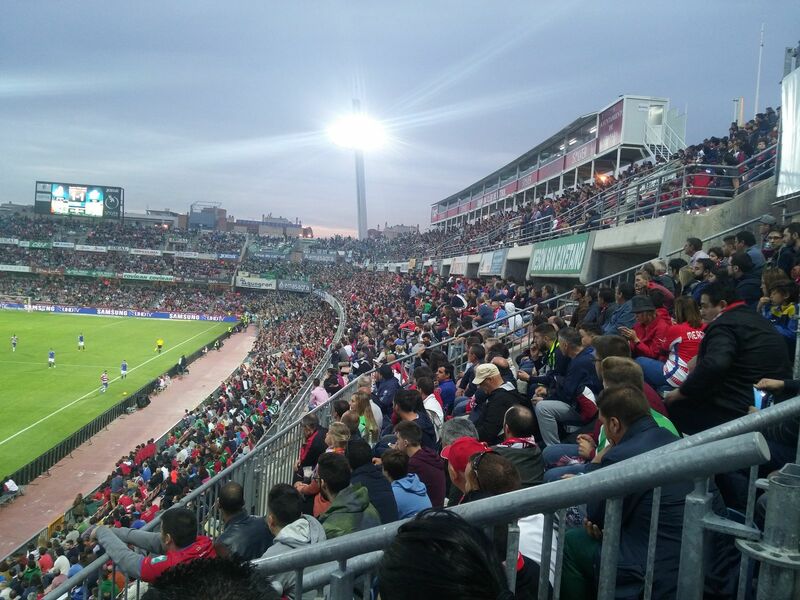 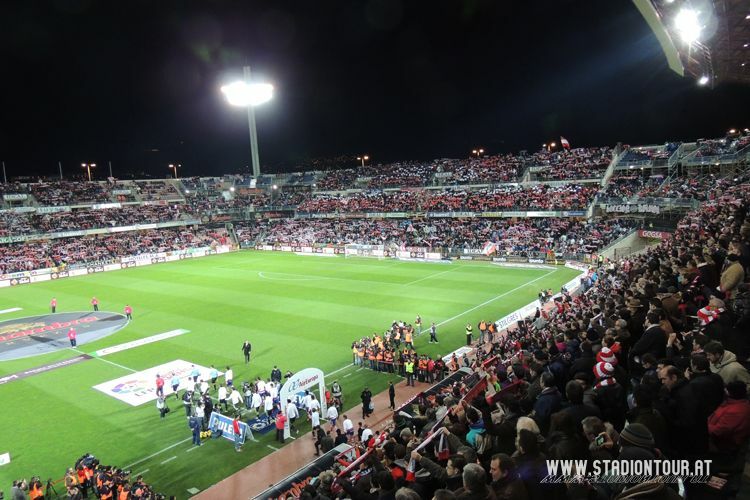 There was even a home game of Albania and Spain celebrated millennium of Kingdom of Granada by playing an official Euro 2012 qualifier here. 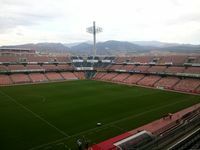 But perhaps the most unusual event one would imagine here was the 1996 opening ceremony of Alpine skiing World Championship.